Women's History Month: My Big 3 — . For this month’s reflection, I wanted to highlight the women who have impacted my life immensely. Other than my mother and my late Grandmother, I am grateful to have met and be connected to phenomenal women. I’ve crossed paths with women who sip strength in the morning, persistence for lunch and wit during the evening. From distinctive professors to amazing supervisors, I’m honored to have met these women. Her haircuts are never not dope. Like…ever. She’s a pro at numbers and has enough patience for a herd of sloths. Because of her, I know about expense reports, budgeting and embracing my strengths. She is observant, sharp, driven and easy going. She’s solid. She knows that she has nothing to prove because her actions show it. I have always admired the way she carried herself and her willingness to give. She was always encouraging me to sow seeds into my passions-including my writing. I appreciate her encouragement, lessons and moments of laughter. I aspire to have just as much kindness, coolness and focus as she does. The idea of wanting to be the best me comes from her. She didn’t say it out right- her actions did. She’s intelligent, kind, stern, funny and downright inspirational for young black women everywhere. Director of three Writing Centers, teaching, loving her family and serving at her church in various ways, she strives. She strives to do her part without skimping on the effort. She addresses the root of situations and searches for solutions to moves forward. She carries herself with steady assurance and a humble step. Although I haven’t seen her in a while, the things I have learned from her are still stuck to my hips. I have changed for the better and her words are partially because of it. Before I get deep, I believe it’s significant for me to say: Ma Bond can dress, ya’ll. I aspire to be a fashionista such as herself in my own way- even down to the hats. I met Ma Bond at the church I grew up in. By the time I turned 14 years, I continued to attend this church while my mother attended a place closer to home (my childhood church was in Harlem. 1.5 hours away from my old home) Ma Bond was one of the members who looked out for me. She is a great leader, patient, kind and a dope story teller. Whenever I needed an ear, she was there. She taught me how to pray without ceasing and to embrace the fact that I am a dreamer. She consistently reminded me to never half-do-anything, but to pace my whole heart in it. Don’t get it twisted she checked me too! Her life story was relatable to me. The compassion and love she gives is indescribable. Her patience is always appreciative and I hope to give as much compassion as she gives some day. I honor her always. I know for sure that if I didn’t cross paths with the above women, I wouldn’t be the unashamed Jasmine and forever growing Jasmine that I am today. They are inspirational phoenixes that I still look up to. Their stories and witnessed characters will carry me through the rest of my journey. 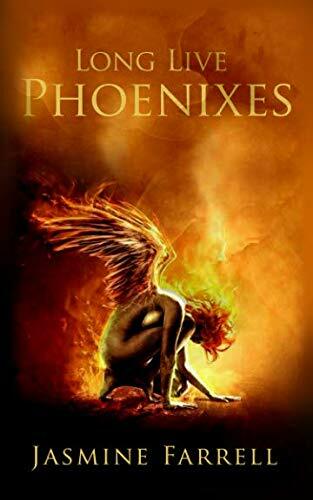 Purchase my latest poetry collection, Long Live Phoenixes on Amazon today!